Please join your fellow Chamber members and future Chamber members for networking and breakfast this month! 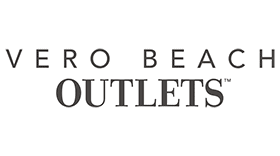 Thank you to our generous Chamber Member Sponsor - Vero Beach Outlets, and thank you Wild Thyme Catering for the great breakfast everyone will be enjoying! Prospective members are welcome to attend one time only before becoming a member of the Chamber. We welcome our prospective members to contact our Membership Director at 772-567-3491 to learn more about the benefits of Chamber membership.